Lean Enterprise Thinking training with Professor Peter Hines of the Cardiff Lean Enterprise Research Centre, UK. Andrew joined Synergy Global in 2016 as Associate Consultant specialising in Process Improvement (PI). He began his career as a State Manager in Colby Handling Systems. In becoming an Integrated Systems Manager in Colby Demag, Andrew developed his expertise in Group Restructuring, Consulting & Training by running various internal projects. In 1995, he left Colby & created Intelog Business Performance Group, a leading proponent of Lean Thinking & enterprise-wide change. 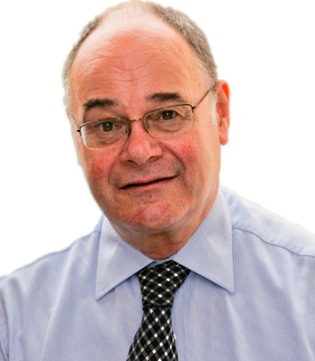 Andrew has over 45year experience in Strategic Business Optimisation & performance improvement leadership. He has proven experience in delivering operational performance improvement in manufacturing & supply chains – as a practical, hands on leader of innovation & change. When he met Heather-Jane Gray from Synergy Global he was already beginning to focus on Healthcare & Supply Chain (Value Streams) in the Food & Beverage industries. They had much in common, so he was headhunted with Bernie Kelly to support Synergy Global ’s growing PI Team. Leader in many transformational projects in a wide range of industries such as Food & Beverage, Fresh Food, RAAF, Health, Transport & Distribution, Medical. In 2010, Andrew was given a Supply Chain Professional Award by the Supply Chain & Logistics Association of Australia (SCLA) for his exceptional performance.